LIBRARIES AS ACTORS. WHAT ABOUT THE CITIZENS? 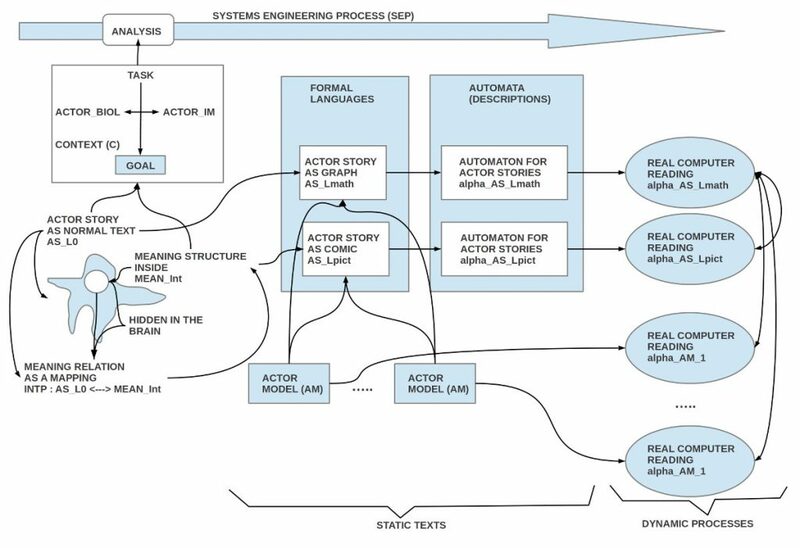 In this blog a new approach to the old topic of ‘Human-Machine Interaction (HMI)’ is developed turning the old Human-Machine dyad into the many-to-many relation of ‘Actor-Actor Interaction (AAI)’. 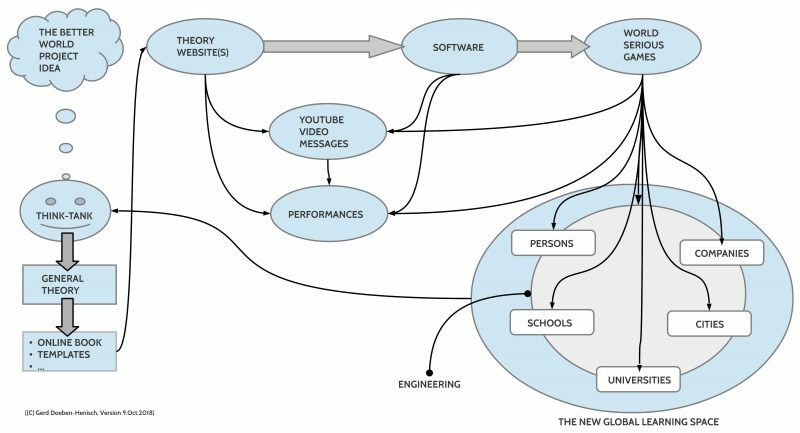 And, moreover, in this new AAI approach the classical ‘top-down’ approach of engineering is expanded with a truly ‘bottom-up’ approach locating the center of development in the distributed knowledge of a population of users assisted by the AAI experts. From this perspective it is interesting to see how on an international level the citizens of a community/ city are not at the center of research, but again the city and its substructures – here public libraries – are called ‘actors’ while the citizens as such are only an anonymous matter of driving these structures to serve the international ‘buzz word’ of a ‘smart city’ empowered by the ‘Internet of Things (IoT)’. This perspective is published in a paper from Shannon Mersand et al. (2019) which reviews all the main papers available focusing on the role of public libraries in cities. It seems – I could not check by myself the search space — that the paper gives a good overview of this topic in 48 cited papers. The paper is rich on details but for the context of the AAI paradigm I am interested only on the general perspective how the roles of the actors are described which are identified as responsible for the process of problem solving. The in-official problem of cities is how to organize the city to respond to the needs of its citizens. There are some ‘official institutions’ which ‘officially’ have to fulfill this job. In democratic societies these institutions are ‘elected’. Ideally these official institutions are the experts which try to solve the problem for the citizens, which are the main stakeholder! To help in this job of organizing the ‘best fitting city-layout’ there exists usually at any point of time a bunch of infrastructures. The modern ‘Internet of Things (IoT)’ is only one of many possible infrastructures. To proceed in doing the job of organizing the ‘best fitting city-layout’ there are generally two main strategies: ‘top-down’ as usual in most cities or ‘bottom-‘ in nearly no cities. In the top-down approach the experts organize the processes of the cities more or less on their own. They do not really include the expertise of their citizens, not their knowledge, not their desires and visions. The infrastructures are provided from a birds perspective and an abstract systems thinking. The case of the public libraries is matching this top-down paradigm. At the end of their paper the authors classify public libraries not only as some ‘infrastructure’ but “… recognize the potential of public libraries … and to consider them as a key actor in the governance of the smart community”. (p.3312) The term ‘actor’ is very strong. This turns an institution into an actor with some autonomy of deciding what to do. The users of the library, the citizens, the primary stakeholder of the city, are not seen as actors, they are – here – the material to ‘feed’ – to use a picture — the actor library which in turn has to serve the governance of the ‘smart community’. Yes, this comment can be understood as a bit ‘harsh’ because one can read the text of the authors a bit different in the sense that the citizens are not only some matter to ‘feed’ the actor library but to see the public library as an ‘environment’ for the citizens which find in the libraries many possibilities to learn and empower themselves. In this different reading the citizens are clearly seen as actors too. This different reading is possible, but within an overall ‘top-down’ approach the citizens as actors are not really included as actors but only as passive receivers of infrastructure offers; in a top-down approach the main focus are the infrastructures, and from all the infrastructures the ‘smart’ structures are most prominent, the internet of things. If one remembers two previous papers of Mila Gascó (2016) and Mila Gascó-Hernandez (2018) then this is a bit astonishing because in these earlier papers she has analyzed that the ‘failure’ of the smart technology strategy in Barcelona was due to the fact that the city government (the experts in our framework) did not include sufficiently enough the citizens as actors! From the point of view of the AAI paradigm this ‘hiding of the citizens as main actors’ is only due to the inadequate methodology of a top-down approach where a truly bottom-up approach is needed. In the Oct-2, 2018 version of the AAI theory the bottom-up approach is not yet included. It has been worked out in the context of the new research project about ‘City Planning and eGaming‘ which in turn has been inspired by Mila Gascó-Hernandez! S.Mersand, M. Gasco-Hernandez, H. Udoh, and J.R. Gil-Garcia. “Public libraries as anchor institutions in smart communities: Current practices and future development”, Proceedings of the 52nd Hawaii International Conference on System Sciences, pages 3305 – 3314, 2019. URL https: //hdl.handle.net/10125/59766 . Mila Gascó, “What makes a city smart? lessons from Barcelona”. 2016 49th Hawaii International Conference on System Sciences (HICSS), pages 2983–2989, Jan 2016. D O I : 10.1109/HICSS.2016.373. Mila Gascó-Hernandez, “Building a smart city: Lessons from Barcelona.”, Commun. ACM, 61(4):50–57, March 2018. ISSN 0001-0782. D O I : 10.1145/3117800. URL http://doi.acm.org/10.1145/3117800 .